Christmas dinner is always a bit of a challenge in our house. In the period before we moved to Hong Kong I would always cook a whole salmon. The first year we lived in Hong Kong, I ventured to the wet market to purchase a fish. Salmon are not widely available in Hong Kong, certainly not in the markets, so I got some other fish. I’ve still no idea what it was, but I do know we all got really ill. For the next two years I ordered the whole meal from a restaurant in Sai Kung, which arrived hot and tasted lovely, but was mostly turkey imported from the US. This year I am cooking venison purchased locally. What strikes me about this tale of food feasts is what we understand about what comprises fresh food and how that is so linked up with cultural differences. The venison saddle, which I shall cook quickly and serve with a red currant chutney, comes from Chatsworth Estate (for those of you who have seen The Duchess, the film with Kiera Knightley, its the Devonshire‘s family place). 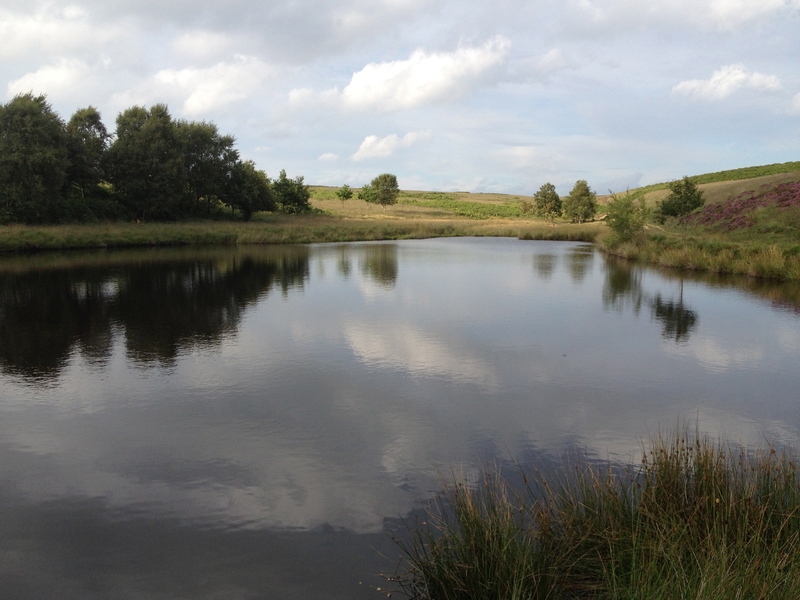 The estate is huge and comprises a great deal of land in the Peak District, which is very near to where I live. Some of this land is home to a parcel of red deer (apparently parcel is the collective noun for red deer and has to do with how they are hunted in Scottland–who knew?). When I went walking with a friend in the late summer, just before the rut, I learned that the estate selectively culls the dear in the late autumn. They perform this cull to keep the deer healthy and in line with what the moorland habitat can support (see this report by the UK Forestry commission). Fortunately for me, the estate has a very nice farm shop, which also sells the deer to whomever would like to buy it. At about $25 per kilo for the saddle, it isn’t an inexpensive cut of meat. Venison is quite lean, so should be cooked quickly (seared first for about 6 minutes, then 15 minutes in a high oven). The meat should be pink and a piece just under a kilo will produce a very rich meal for 3-4 people (which is also high in Omega 3 fats, which we apparently do not get enough of in modern diets). I’ll be serving mine with roasted potatoes and steamed carrots. This quick roasting of a local source of meat that was farmed sustainably and humanely represents a tradition of animal husbandry in the UK that is several centuries old. For me, this venison represents food that is fresh and healthy, though I did not see the actual animal. When in Hong Kong I learned that fresh food was also highly valued, and fresh was understood to be visibly alive at some point during the process of purchase. The wet markets sell live fish in tanks, which you can select for your meal. Alternatively, if you do not want a whole fish, some of the larger fish will be available to purchase as cut up parts. To keep the fish as close to alive as possible, the fishmonger cuts around the heart and lungs of the fish so that it is still beating as you are given your piece. 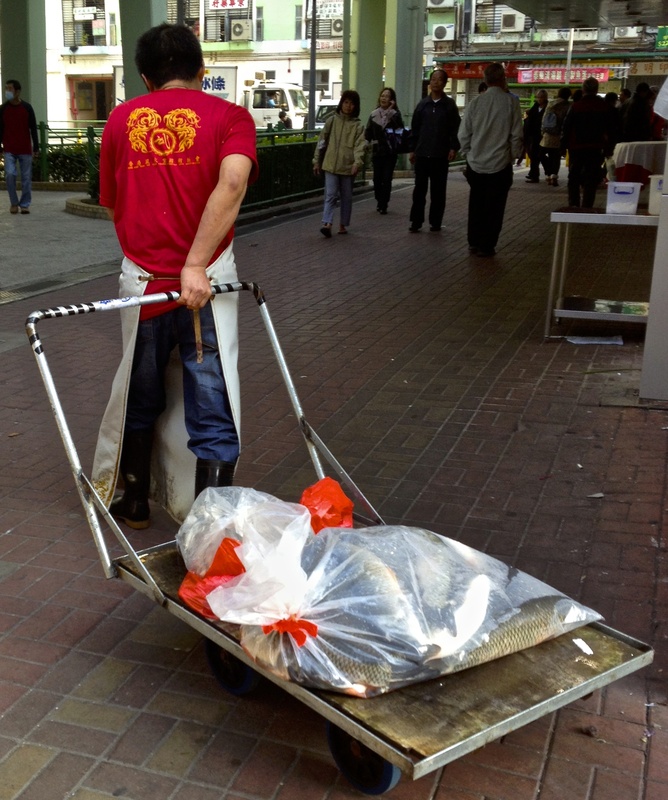 It is not uncommon to see deliveries of fresh fish being taken from markets to local restaurants. Fish that is really fresh is valued because a common cooking method is to steam the fish. An older Cantonese gentleman explained to me that steaming brings out the sweetness in the food and so it must be fresh. Food that is not fresh will not be sweet in flavour, this older food instead is fried or dried (and then cooked in soups). The belief, probably born out in fact, that fresh food tastes sweeter applies to fish, chicken and vegetables, which is also why one frequently sees live chickens in the markets as well. 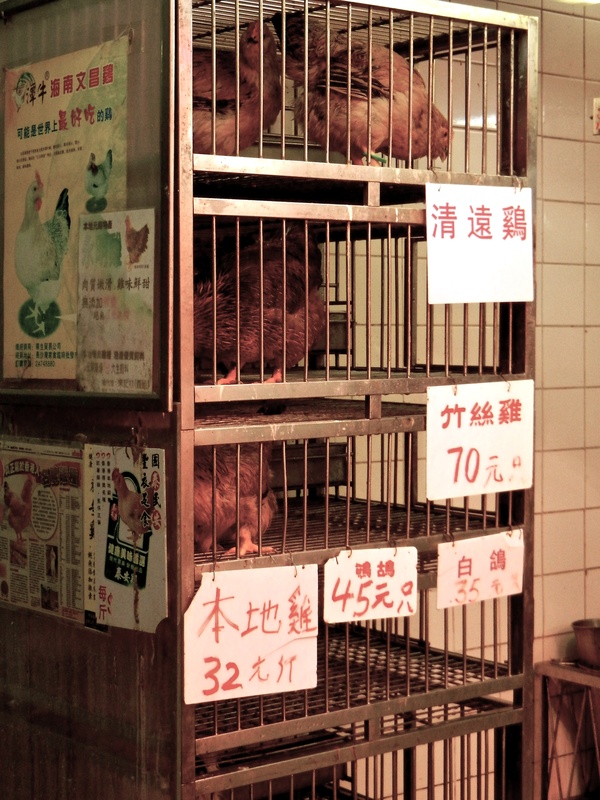 Live chickens available in Tai Po Market. Of course the fish and chicken, just because they are alive and killed freshly, does not mean that the food itself is free of disease. Repeatedly there has been concern in Hong Kong around the possibility of contracting bird flu though contact with the chickens and other poultry that is brought live to the markets each day. While the birds are not supposed to be kept overnight on the premises, and are certainly not reared at the markets, the markets were identified as a key source of SARS in the mid 2000’s. Recent evidence suggests that the birds contract the illnesses, which can be passed on to humans, at farms that are most likely in mainland China. The South China Morning Post recently reported that this concern has picked up again to such an extent that sales of live chickens, traditionally eaten to celebrate the winter solstice, were down this year as people were avoiding poultry and switching to fish instead for their holiday meal. As we learned our first Christmas in Hong Kong, although much cheaper than the venison I will be having this year, the fish are also not always so free of disease. A study conducted by HKU scientists discovered that a good many of the fish sold as fresh carry a bacteria, Laribacter hongkongensis, that can cause diarrhoea and stomach cramps for up to 90 days in some people. If not kept clean, the tanks where the fish are kept infect the fish with the bacteria. And while it can be killed if the fish is cooked fully, it is easy to undercook fish when steaming it. I believe this is the extra present we received that Christmas, though thankfully it lasted a week, not 90 days. This post was entered into the WordPress Daily Post weekly photo challenge on 28 June 2014. The theme was contrasts. This entry was posted in Food, Hong Kong, Other, Recipe, UK and tagged bird flu, Chatsworth, Christmas, Daily Post Weelkly Photo Challenge: Contrasts, devonshire, fish, food, fresh food, holiday meals, Hong Kong, Peak District, venison by geofoodie. Bookmark the permalink.